Schneider's 6.6x6.6" True-Cut IR Camera Filter Tuner Kit is designed to prevent light in the infrared spectrum, invisible to the human eye, from contaminating the image captured on CMOS or CCD sensors. That unwanted IR contamination can be cumbersome when large sensor cameras are used with neutral density (ND) filtration to achieve large iris, small depth of field images. While Schneider's Platinum IRND filters solve the issue, some filmmakers have requested a versatile solution that works with their existing ND filters. 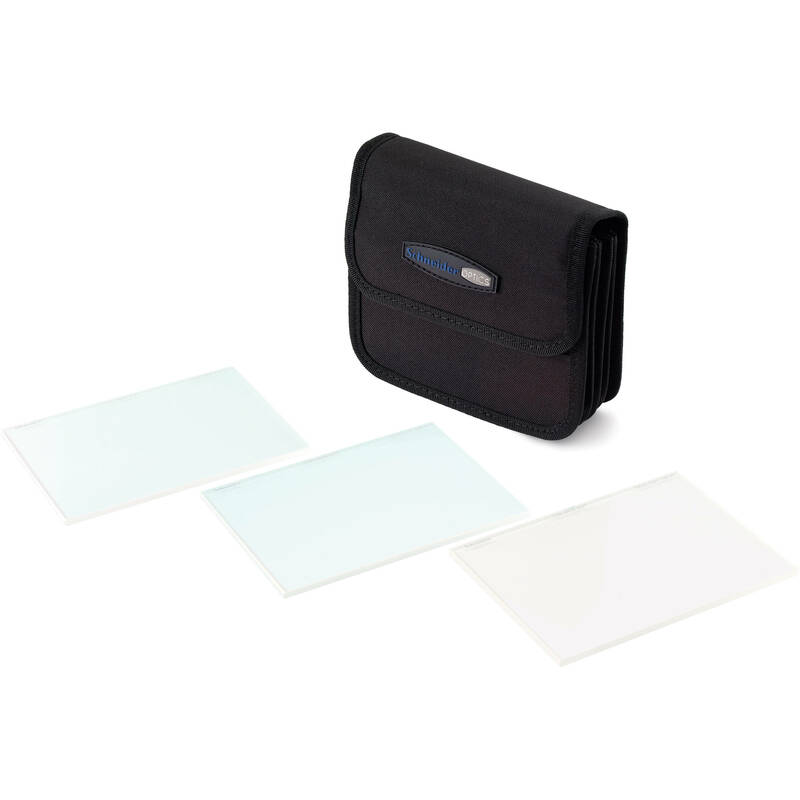 Schneider's team has engineered a solution by designing a handy reflective filter kit that the cameraperson can have at the ready to prevent IR contamination for a variety of cameras and situations. With it, a shooter can use their existing standard ND or other dense filters (85, 81EF, colors) and select just the right amount of IR cut for the situation. The images are protected whether or not the shot calls for ND filtering. The new three-piece True-Cut IR filters are set to the various nanometer cut requirements of popular sensors on the market today. This allows the Director of Photography to select the appropriate cut level for the sensor on the camera being used, and put that True-Cut IR filter directly in front of all other filters mounted in front of the lens. Once the True-Cut IR filter is in place, all filters behind are protected from visible light contaminating the image. Box Dimensions (LxWxH) 9.4 x 9.3 x 5.7"